This cake may look like a normal chocolate cake but would you believe me if I told you it was totally allergy free? I tried out the Love Cake mix for my mum on mothers day and wasn't disappointed. Before you snub me for using 'packet cake' mix check out the ingredients: gluten free flour (organic rice, organic tapioca, potato starch), organic raw sugar, organic cocoa powder, baking powder (gluten and aluminium free) guar gum, baking soda and sea salt. None of those crazy ingredients and preservatives you can't pronounce that are made in a science lab. This cake mix is basically just Love Cake doing all the hard work, that is, finding the right balance of ingredients to make it taste amazing. I know that buying cake mix isn't something most people would be excited about but the fact that just about anyone can eat these cakes makes it totally exciting! I'm talking wheat free, gluten free, dairy free, soy free, (can be made) egg free. I would say it is perfect for those that have more than one allergy who feel like they have to miss out on baking. This is totally for you! As I've mentioned before my mum has coeliacs disease so she can't usually eat the cakes I make. She was pretty excited to try this one out on mothers day! 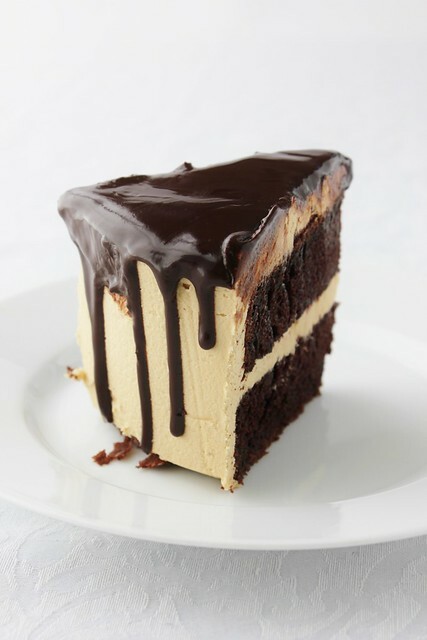 I decided to ice mine with coffee buttercream and then pour over a chocolate glaze. Needless to say, it was delicious! My mum loved the cake and said it lasted a week still tasting great too! Beat butter until light and fluffy, about 2 minutes. Sift Icing sugar into mixture, one cup at a time. 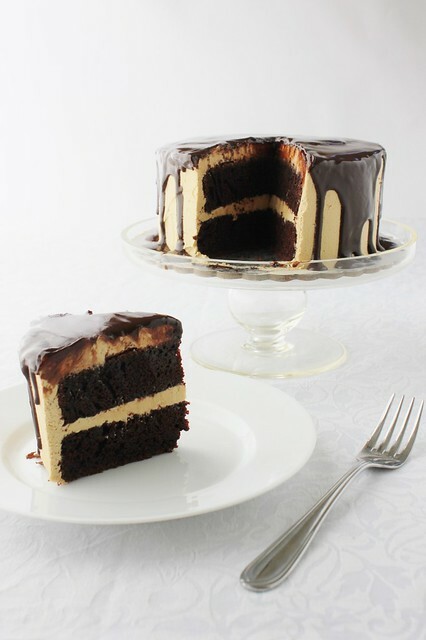 Gradually add the coffee to the icing one teaspoon at a time until you reach the taste you like. 3 teaspoons may be too strong for some or too weak for others, for me this was just right! If the icing is too soft add a little more icing sugar, if it is too stiff add a little milk or extra coffee. Slowly heat all ingredients on a doubler boiler until melted. Stir until well incorporated then remove from the heat. Leave the glaze to cool for approx. 15 minutes so it doesn't melt the buttercream on the cake. Once cakes are cooled, cut the tops off and place on a baking tray. Scoop approx. 1 cup of coffee buttercream on top of one of the cakes facing up and spread to the edges. You'll want this to be nice and thick, about 1cm. Place second cake on top so that the bottom is facing up (with the smooth edge). 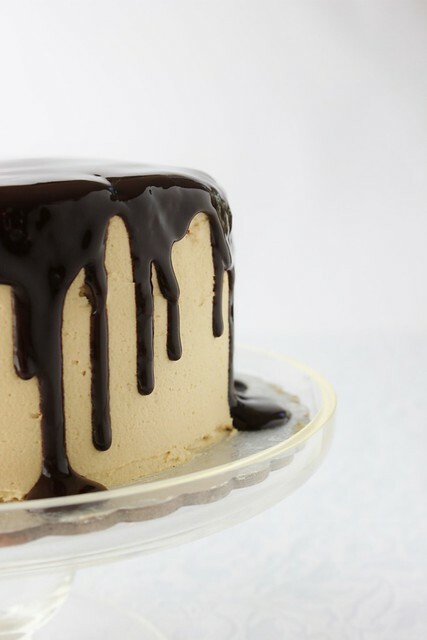 Ice the entire cake with coffee buttercream. Once the chocolate glaze is room temperature (or slightly warmer) gently pour on top of cake and spread to the edges with a spatula. 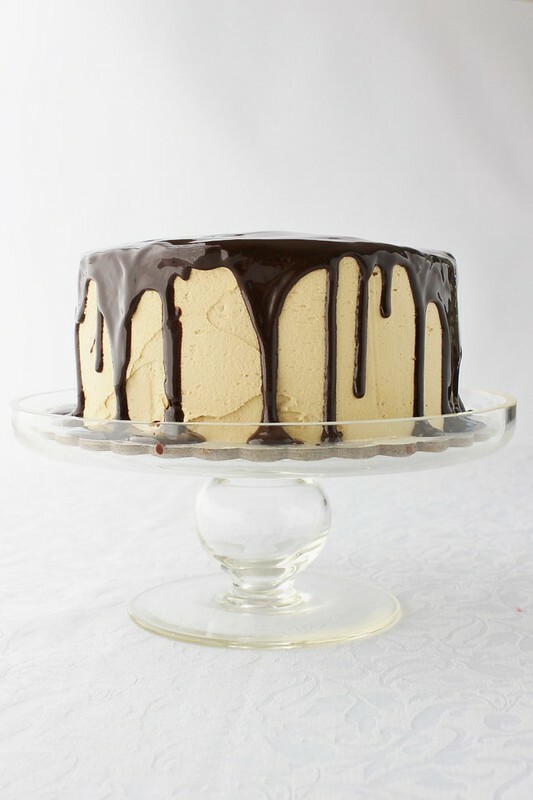 When the entire top of the cake is covered in chocolate glaze go back and pour more chocolate on top, this time gently nudge the glaze to the edges so it trickles down the sides of the cake. It is up to you how much chocolate you add, I say the more the better! Place in a fridge for approx. 30 minutes or until glaze is set. Congratulations to Meagan Kerr, you have won two packets of delicious Love Cake cake mixes. Enjoy! The lovely team at Love Cake are giving one lucky Lydia Bakes reader the chance to win two packets of their delicious cake mixes. To be in to win two packets of Love Cake cake mixes, "like" Love Cake on Facebook and leave a comment below telling me what your favourite gluten free/allergy free treat is. Please include your name and email address in the comments below. Good luck! The winner will be picked at random using the randompicker.com generator and notified on Facebook on the 28th of May 2013. Entries only open to New Zealand residents. Simply devine organic elf saucing pudding. That cake looks amazing Lydia - what a lucky Mum! I love gluten free raspberry lamingtons, but hardly even do any GF/allergy free baking (and never on purpose!) 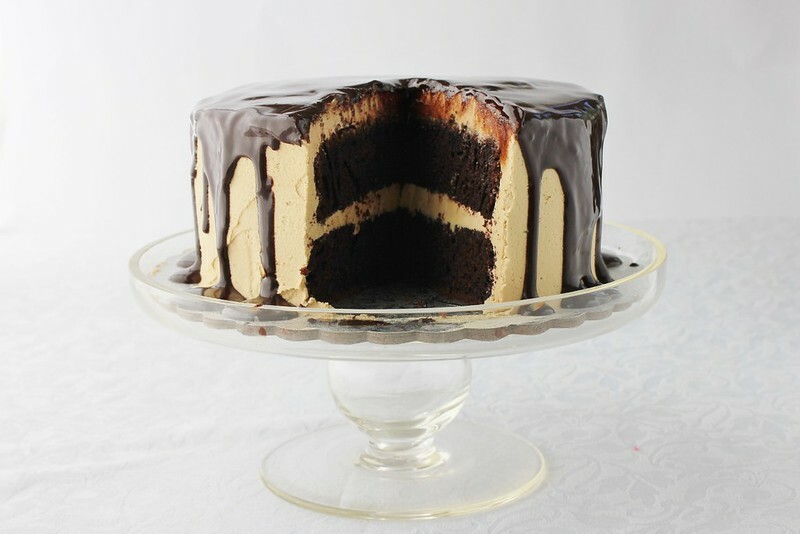 so would love to try Love Cake's Gluten & Dairy free chocolate cake mix - very intriguing! My favourite gluten free/allergy free treat is the lemon pound cake I made yesterday! So good! But super keen to try out some of these Love Cake packets!! They look yum and you've made one amazing looking cake from them! I'm dairy and gluten intolerant, something that I've only recently found out. I was so sad, thinking that I would have to miss out on delicious baked treats, so I'm really happy to hear that there is something like this available and would LOVE to give them a try. My fave gluten/allergy free treat is the humble mango. They're sweet (but not too sweet), naturally delicious and juicy - yum! The thing that makes gluten free treats special is when someone has gone to the trouble of making something especially for me! 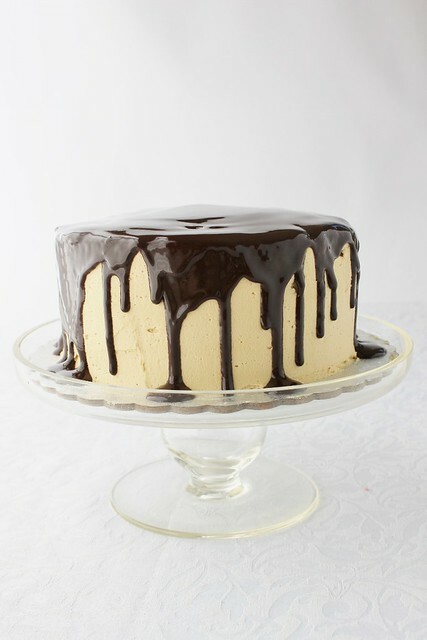 This Love Cake was awesome - had a lovely texture that stayed moist and delicious for days.